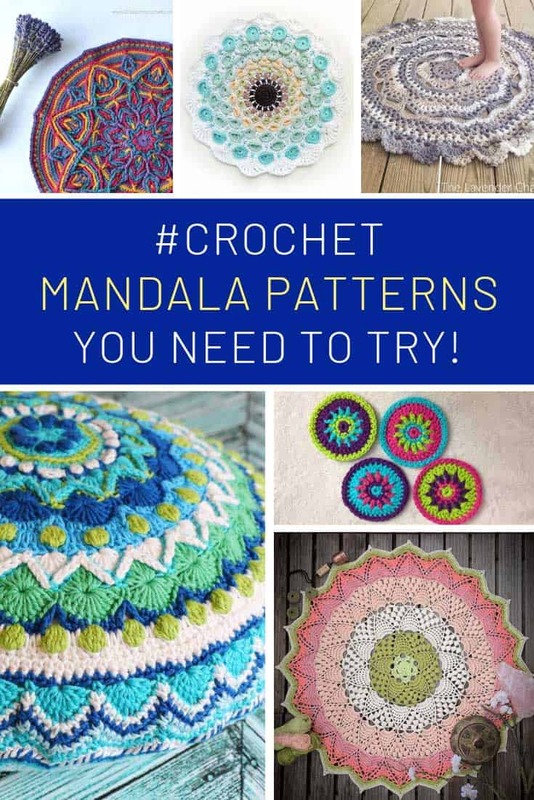 Home > Crochet Patterns > Gorgeous Mandala Crochet Patterns You Need to See! 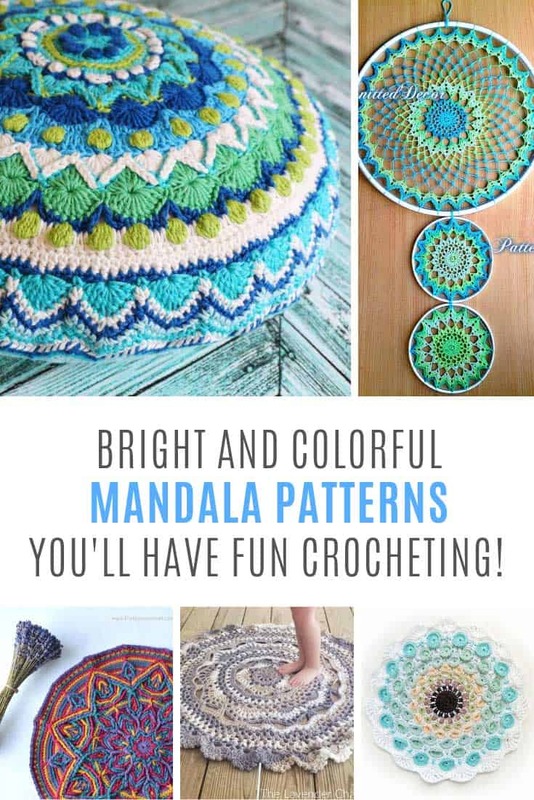 Take your crochet skills to the next level with these BEAUTIFUL mandala crochet patterns that make great gift ideas! 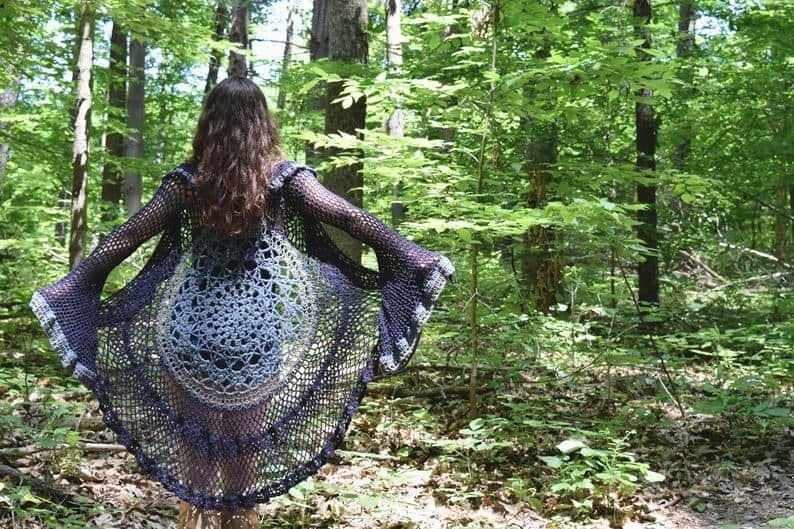 Have you ever seen anything so beautiful as these mandala crochet patterns? They’re perfect for your meditation or yoga space, or just to brighten up your home decor. They make thoughtful gift ideas too! 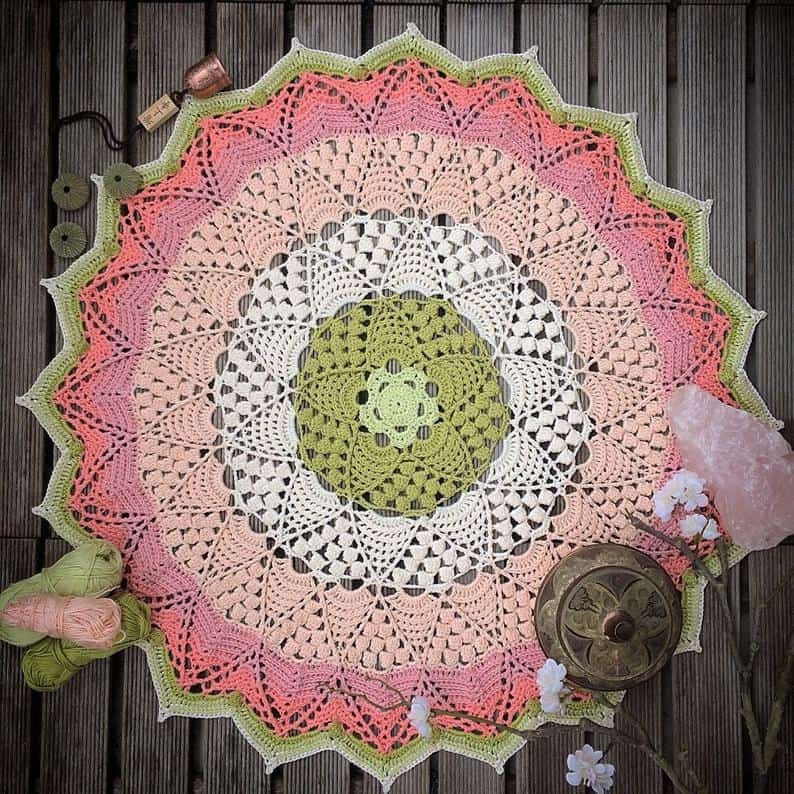 Wow this mandala pattern is just beautiful and inspired by the Japanese lotus flower and blossom trees. And from Japan we journey to Spain for the inspiration behind this gorgeous mandala overlay pattern. I LOVE the colour combination and it does scream Spanish ceramics! 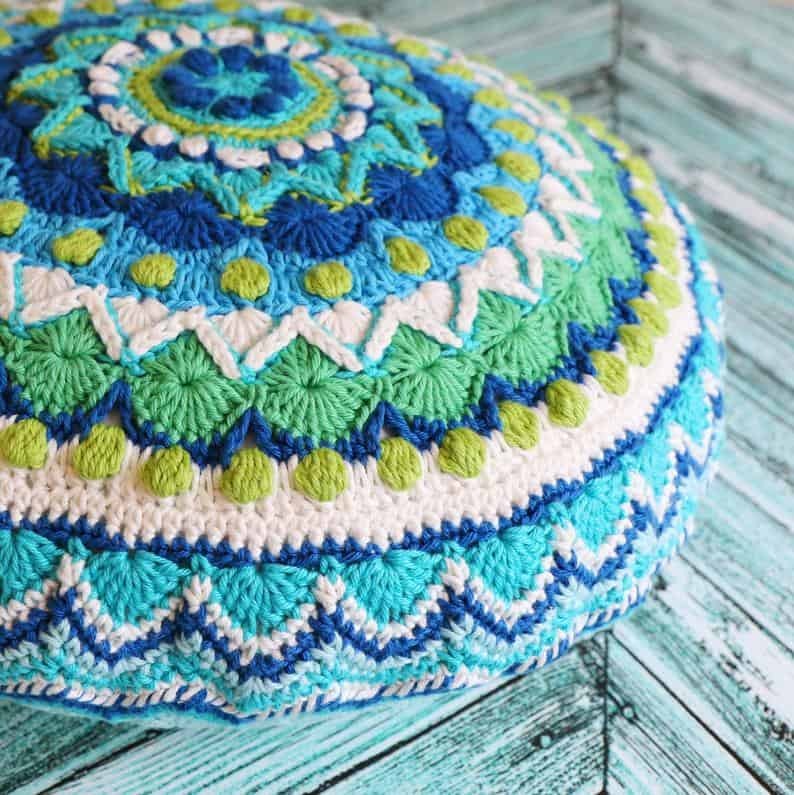 This would be stunning as a chairpad to bring some color to your porch in the summer! 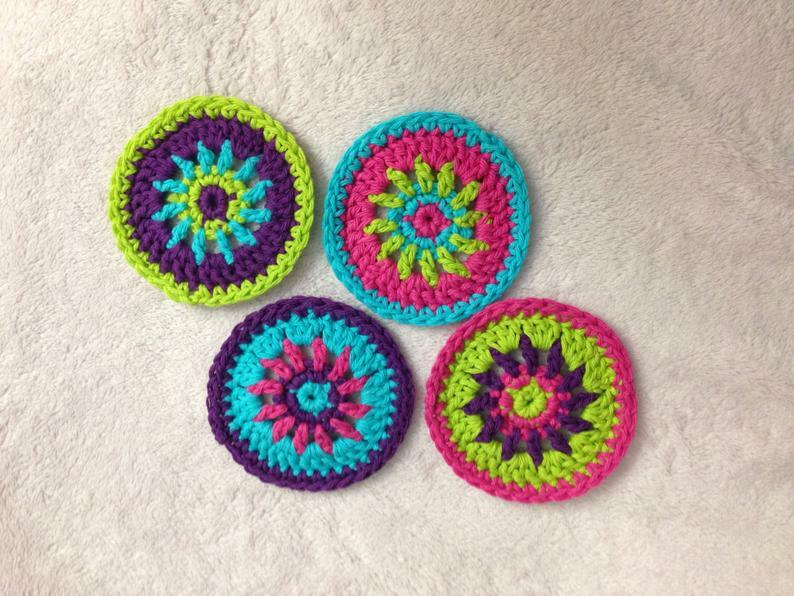 If you’re a beginner and a chair pad seems too overwhelming why not start small and make some of these mandala coasters instead! 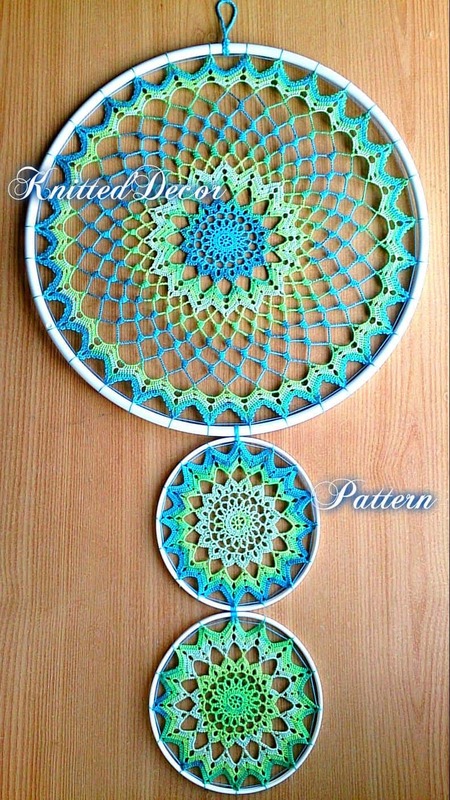 This dreamcatcher is beautiful with it’s crochet mandala lace pattern. 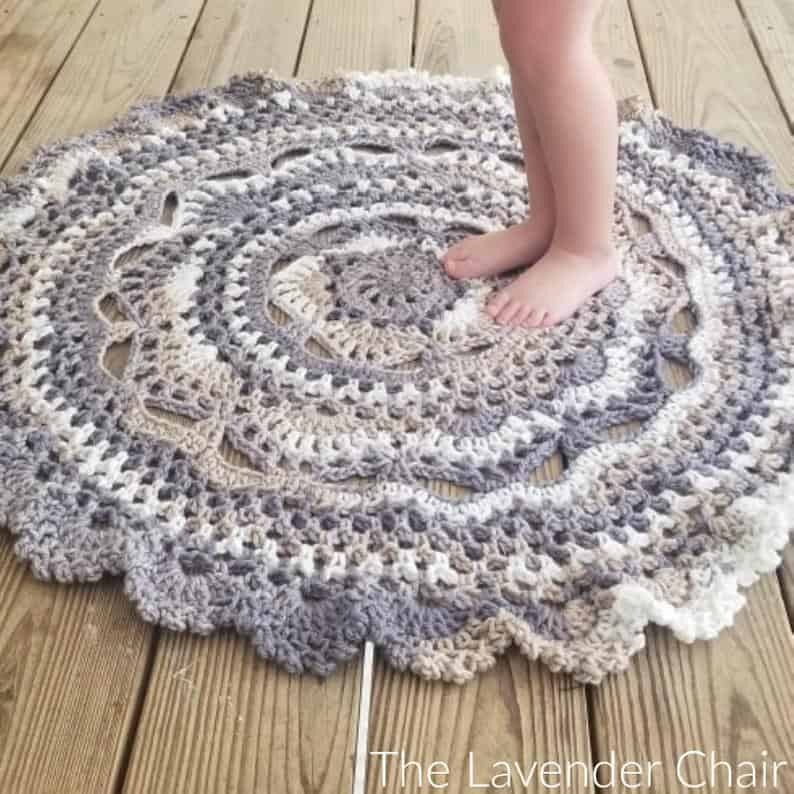 If you like to crochet with a large hook and chunky yarn you’ll love making this beautiful mandala rug! Oh my goodness! This lace duster coat is very bohemian making it the perfect choice for the summer. 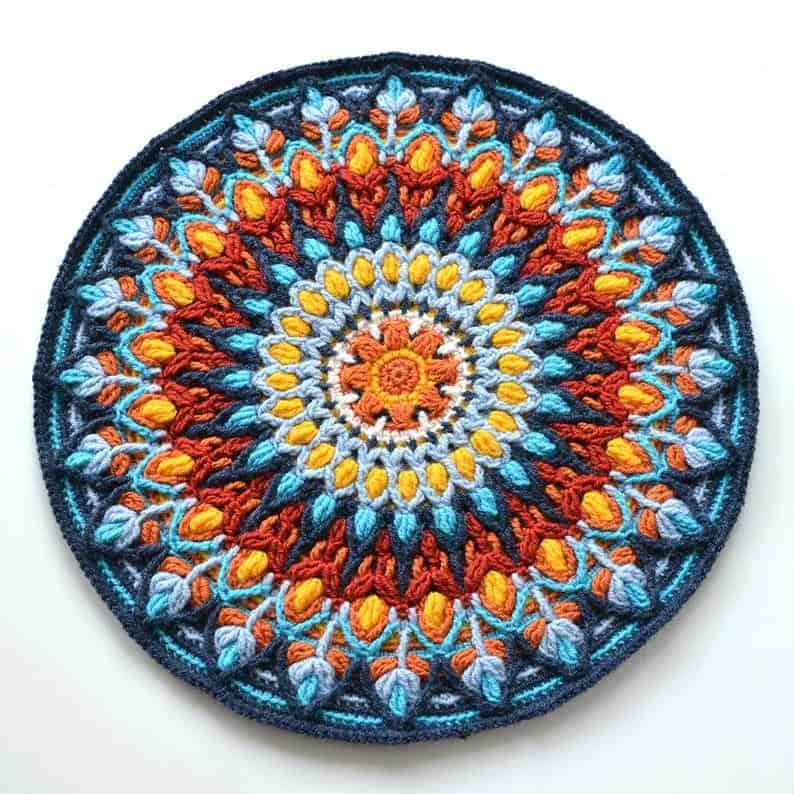 How beautiful is this mandala design? I love the colour combination of the greens and blues, it feels very Moroccan, just like the tile patterns that inspired the design. 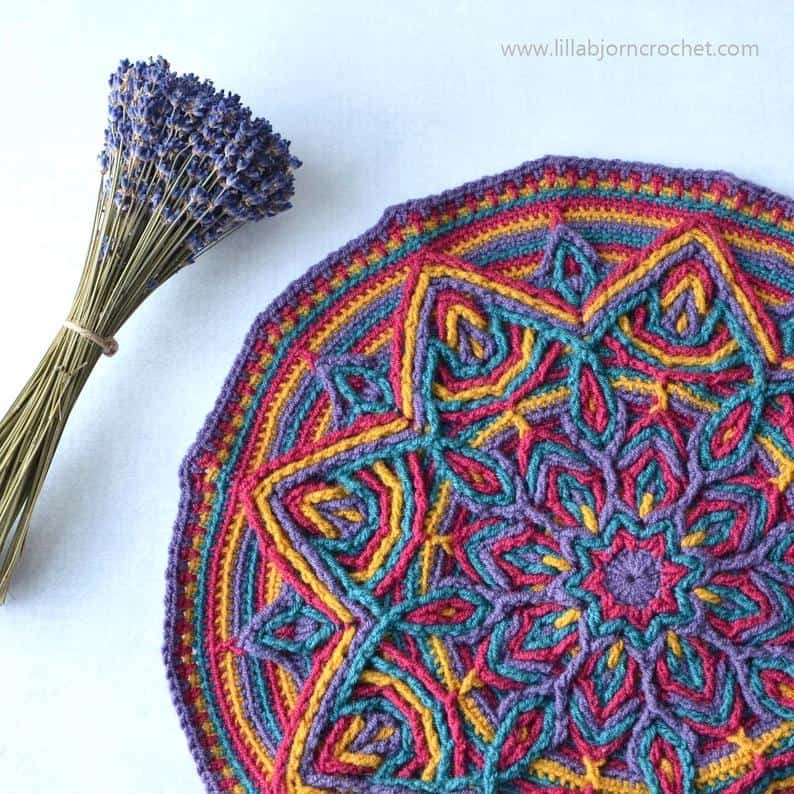 Here’s another overlay mandala pattern that is just stunning. The creative uses for this design are endless, you could make a trivet, a pillow cover or even a wall decoration. Have you heard of Elspeth McLean? She makes the most beautiful painted mandala stones (you can see her work here) This design was inspired by those stones and is equally as beautiful. 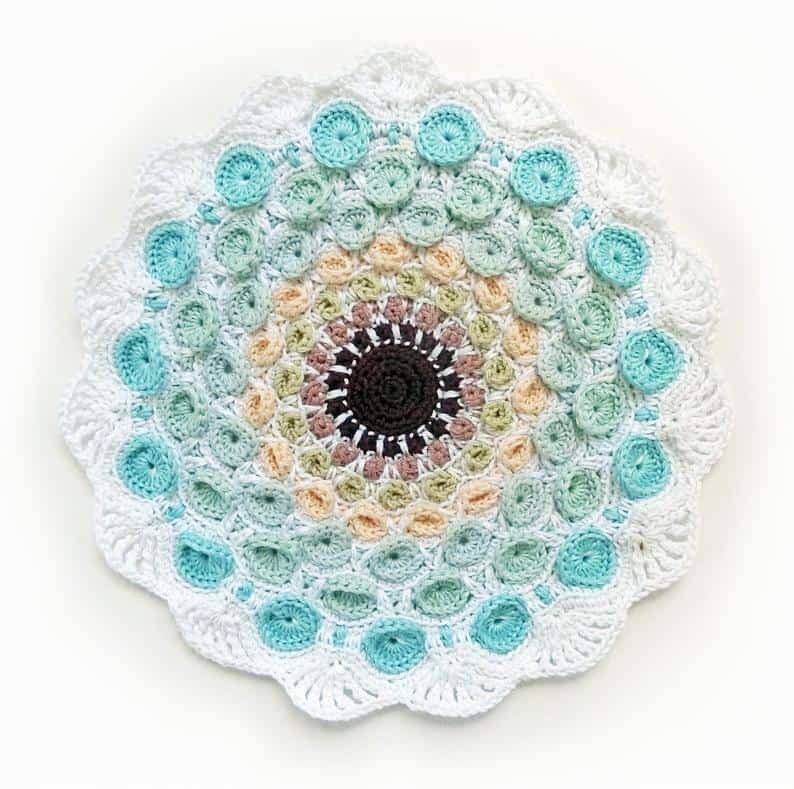 I think worked up in pastel colors this would be a gorgeous wall hanging for a baby’s nursery!